As you relax in this gorgeous one armed sofa, the arm is on your Left side. 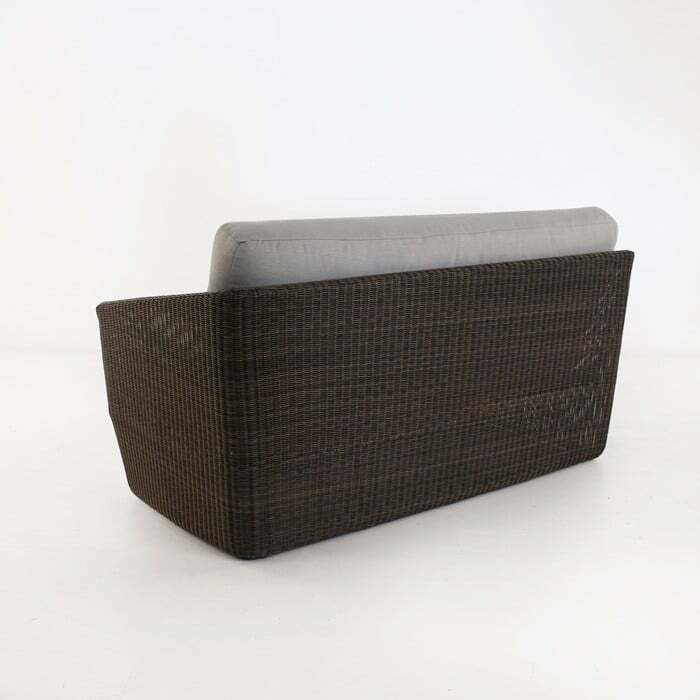 This piece is perfect for paring with the other components of the Brooklyn collection, allowing a beautiful modular sectional that can be custom designed for any outdoor space. 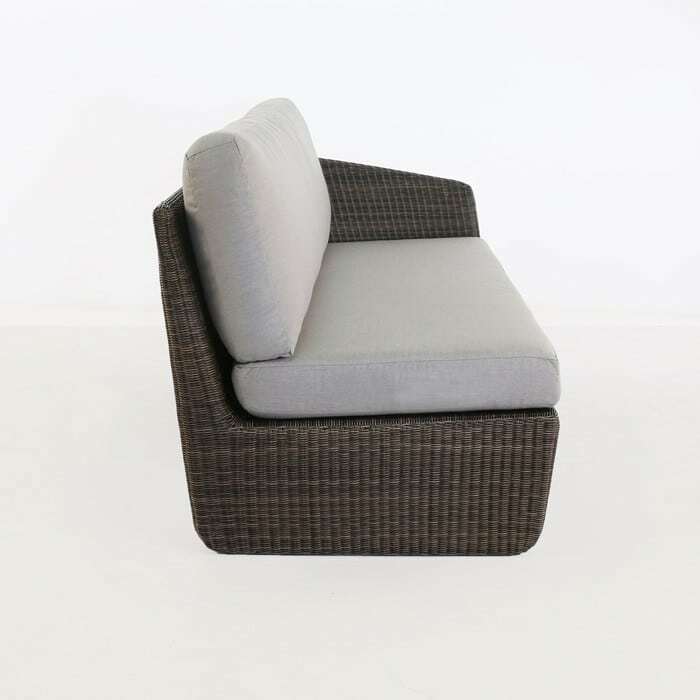 The ample length of this sofa gives you plenty of options, though it is equally special as a long, linear outdoor sofa, paired with a couple center chairs and a right arm sofa. 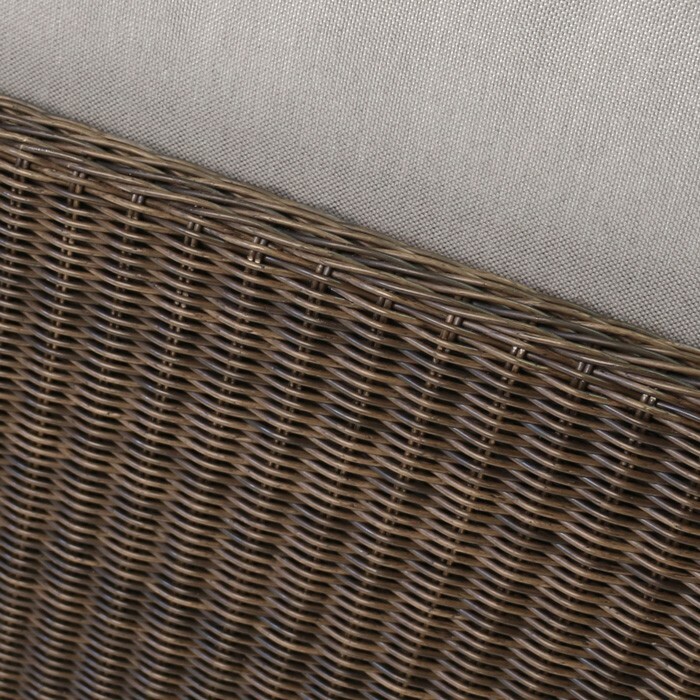 The bold looks and slim footprint give you plenty of compliments from guests and opportunities to enjoy this collection. Made with a powder coated aluminum frame with a tight weave made with Mocha colored synthetic outdoor wicker, this outdoor furniture collection is low maintenance and high class, lightweight and beautiful. 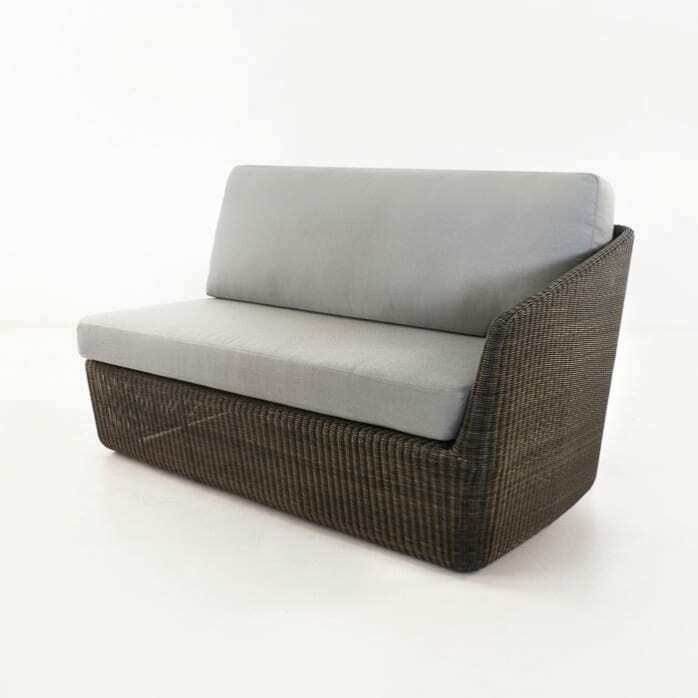 Sunbrella cushions are included as shown.